Let’s set the scene. It is late Sunday evening and I’m hurtling along I83 towards Baltimore returning from a youth basketball tournament in wonderful Spooky Nook, Pennsylvania. My sons are camped out in the back seat lost in the allure of their phones, giving me free reign over the radio. 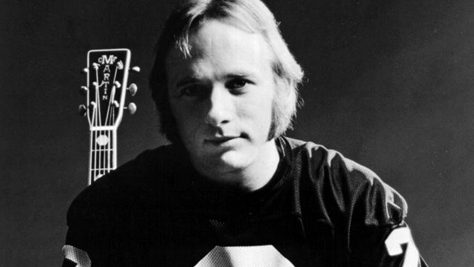 Two things strike me as the chorus bounces around my mind: 1) Stephen Still had really cool side burns; and 2) we as business-to-business marketers spend too much time and allocate too many resources to pursue new leads. What about our existing customers — the ones we are with? Research demonstrates customer retention and upsell programs are smart business. It is 7X more expensive to attract a new customer than it is to keep a current one. Moreover, according to Marketing Metrics: the Definitive Guide to Measuring Marketing Performance, a company has a 14X greater chance of growing revenue from an existing relationship than it does wooing someone new. Are customers aware of your company’s full portfolio of services and capabilities? Have their needs changed since the relationship between your companies was initiated? Are there new decision-makers or influencers? Social media map, connect with and follow every client. In addition to ongoing dialogue, I want to understand what they’re sharing online. It is going to tell me a lot about the direction of their business and its priorities. Make customer education core to Strategic Communications Group’s (Strategic) content strategy. I still want to appeal to prospects, yet our editorial calendar will now be better aligned with the requirements and needs of our client portfolio. Profile clients and their innovative approaches on Modern Marketing Today. This is Strategic’s online magazine for business-to-business and public sector marketers and sales professionals. I can contribute to a client’s professional reputation and standing, while demonstrating the value I place on the relationship.